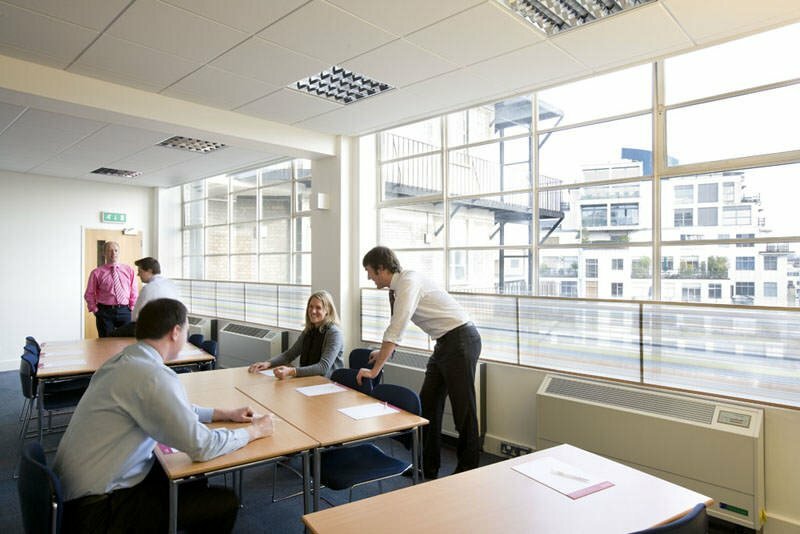 A purpose-built training, meeting and conference venue in London’s famous diamond district, Hatton Garden, situated very close to public transport. 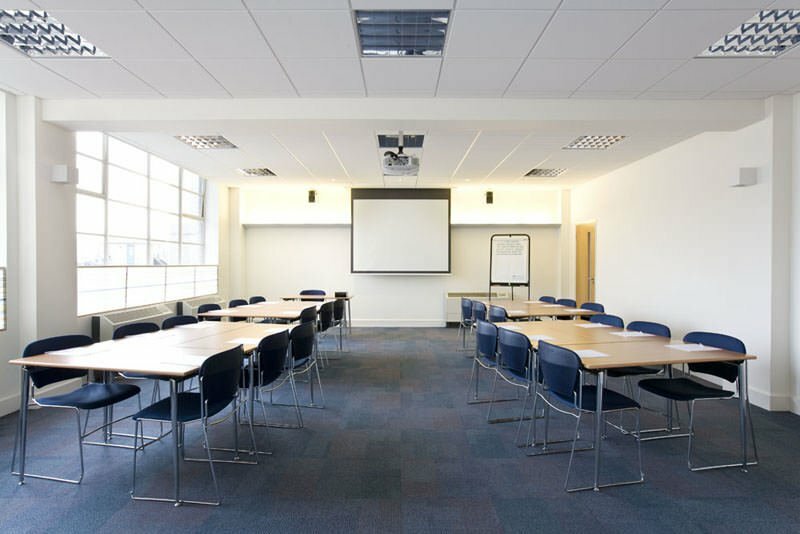 Training and Meeting Venue – Farringdon is a dedicated training, meeting and conference venue designed with trainers’ and event organisers’ needs in mind. 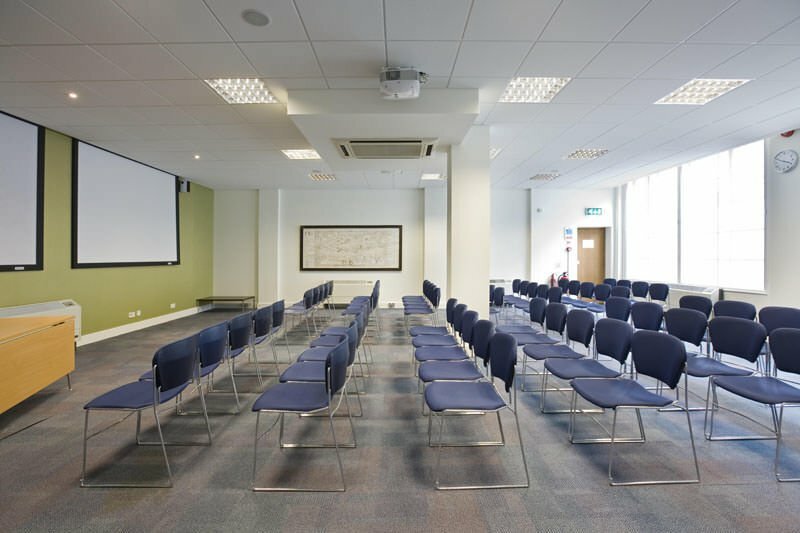 It has a strong reputation for service and can handle a range of events varying in size from two people for an interview to 140 for a conference. The result is a distraction-free environment operated by a team of specialists who will help to make your event a success. 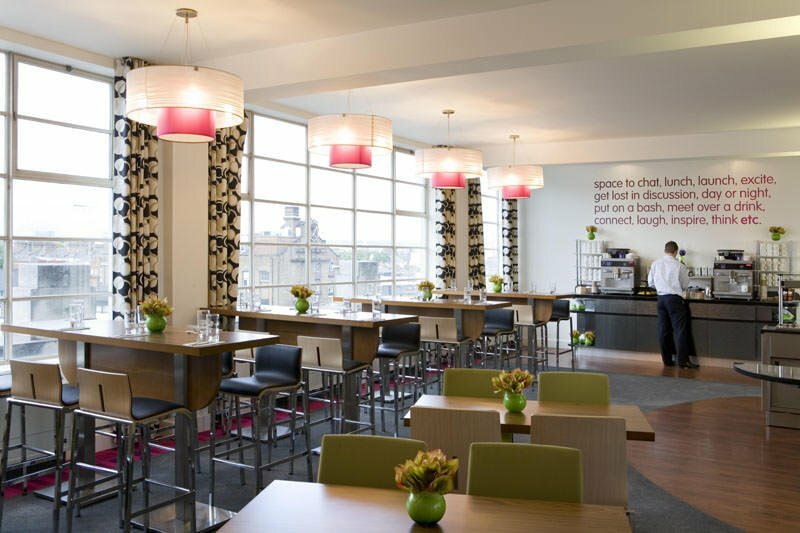 This stunning eight storey Art Deco venue has natural daylight, high spec audiovisual equipment and air conditioning in all rooms, as well as free WiFi throughout. A full-time technician is on hand for AV support. There are four self-contained suites, nine main rooms and six syndicates providing plenty of flexible room options for two to 140 delegates. Restaurant options include the stunning top floor with views over the London skyline or the stylish basement with its own terrace – both served by a team of in-house chefs. There are also several breakout areas and coffee lounges. A stylish and impressive eight-storey Art Deco building which retains many of the original features, including distinctive windows.